November marks the start of an annual shopping festive in the US. 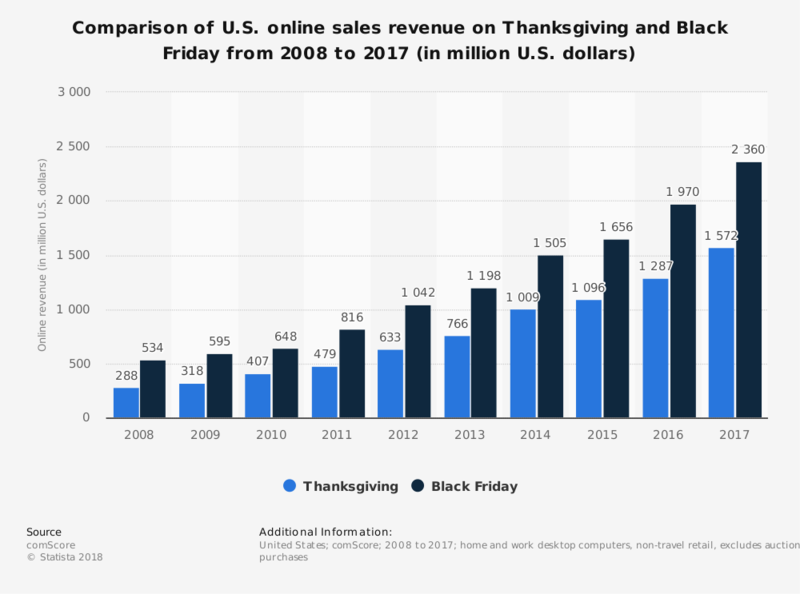 The string of booming sale-off bonanza that is Thanksgiving, Black Friday & Cyber Monday opens up the door for merchants the world over to thrive and skyrocket their sales up to 2 – 3 times. This is especially the ideal time for cross-border sellers to scale up and clear off stocks while still retain enough profits for post-holiday business. BUT WHEN IS BLACK FRIDAY 2018? Black Friday officially begins the day after the Thanksgiving holiday (Thursday), so this year it’s on November 23, 2018. However, it’s likely going to be more than just the one-day event it has been in the past. Many retailers start coming out with Black Friday shopping deals early in the week as to avoid getting drowned out by everyone else. Most deals will also continue on through the weekend and into Cyber Monday (November 26), which is now actually Cyber Week. So, the exact dates for Black Friday and Cyber Monday have become fairly irrelevant for any shopper. According to RetailMeNot, approximately 115 million US citizens participate in the Black Friday frenzy every year. Black Friday still proves to be the busiest shopping day in the country; with statistics constantly on the rise, it seems customers’ mood to shop at this particular time of the year is not going to cool down anytime soon. Hurry up and seize this one-and-only chance to increase your revenue! 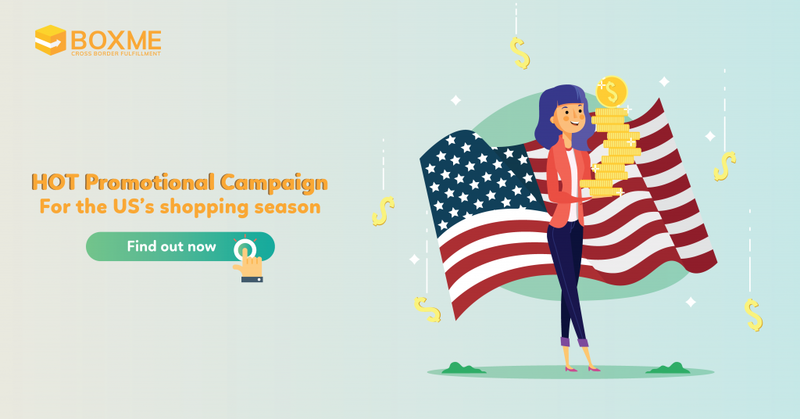 Boxme is offering a 15% promotional discount off of global shipping to let you effortlessly send your stuff internationally on the biggest selling day of the year. On a special note: If you are pursuing an Amazon-based business using FBA (Fulfillment by Amazon), then all you need to do is prepare your Amazon account, register your products, ship them to Amazon’s warehouses and start advertising your stuff, as well as offering suitable promotional incentives for this biggest shopping season of the year. Applied to all orders shipped internationally using DHL and UPS. Lightning fast shipping from 3 – 5 days to every state in the US. Free pickup for urban area addresses in Hanoi and Ho Chi Minh City. Step 1: Visit oms.boxme.asia and register / login to your account. Step 2: Enter your order information and choose DHL or UPS as your preferred shipping carrier. Step 3: Create your order with incentive-included fee. Jump right into the busy and uber-profitable year-end shopping flow in the US and boost up your sales to the fullest. Let international shipping be the least of your worries with the help from Boxme!